Dr. Joseph A Fiore, MD is a Doctor primarily located in Dorchester Center, MA, with other offices in Milton, MA and South Weymouth, MA (and 1 other location). He has 17 years of experience. His specialties include Gastroenterology and Internal Medicine. He speaks English. Dr. Fiore has received 3 awards. The overall average patient rating of Dr. Joseph A Fiore is Excellent. Dr. Joseph A Fiore has been rated by 15 patients. From those 15 patients 5 of those left a comment along with their rating. The overall rating for Dr. Joseph A Fiore is 4.6 of 5.0 stars. Dr. Fiore is a pleasant doctor, who took time to listen and go over everything with me. I was not rushed and he took my ilness one step at a time. I can not say enough nice things about him. 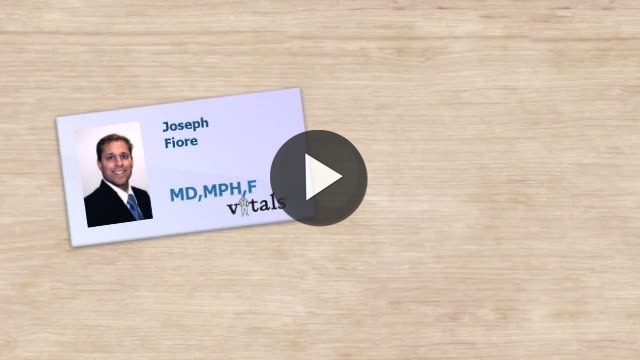 Take a minute to learn about Dr. Joseph A Fiore, MD - Gastroenterology in Dorchester Center, MA, in this video.